At 736 metres Whernside is the highest peak in the Yorkshire Dales and one of the famed three peaks, the other two being Pen y Ghent and Ingleborough. 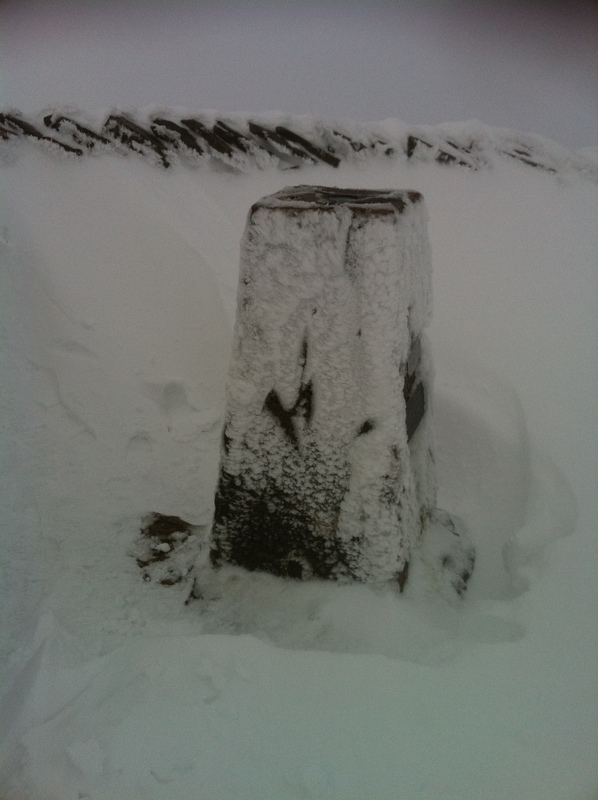 Whernside looks, perhaps, less attractive than the other two. It does though offer fine views from its peaks…that’s if you ascend on a clear day… something we did not do. Driving South from Hawes along the B6255 we parked with Ribblehead Viaduct clearly in view. The path veers off to the right and follows the route of this magnificent railway bridge which is part of the famous Settle to Carlisle route. 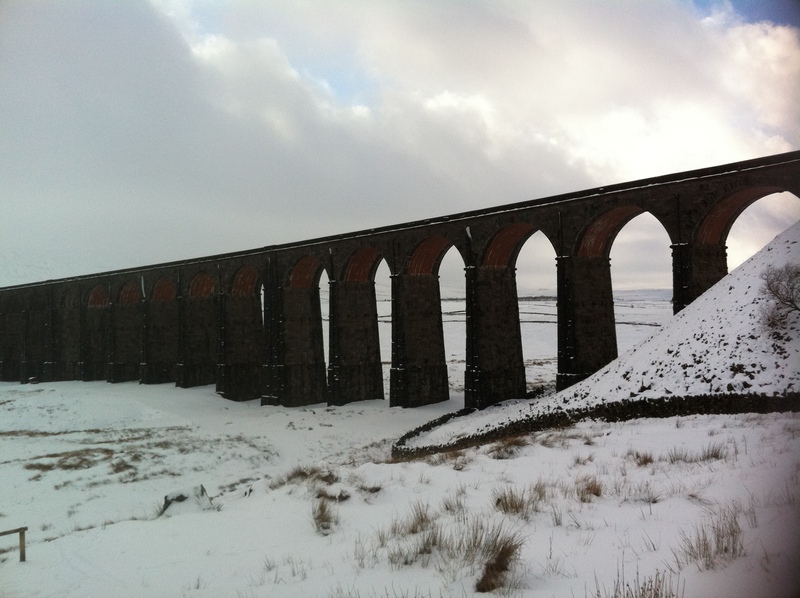 Completed in 1870 the viaduct’s distinctive 24 arches stand out proudly against the bleak moorland landscape. The path runs parallel to the railway, past the Blea Moor sidings where you get right up close to old fashioned railway signals. We then passed through a short tunnel underneath the railway before climbing steadily northwards. We passed Force Gill, a well-known waterfall, on our left. Little water was falling though, as the beck was frozen over. It looked like a scene from Narnia as the frozen ice held still against the biting wind. Climbing still, there was little chance of getting lost as the path was well defined. 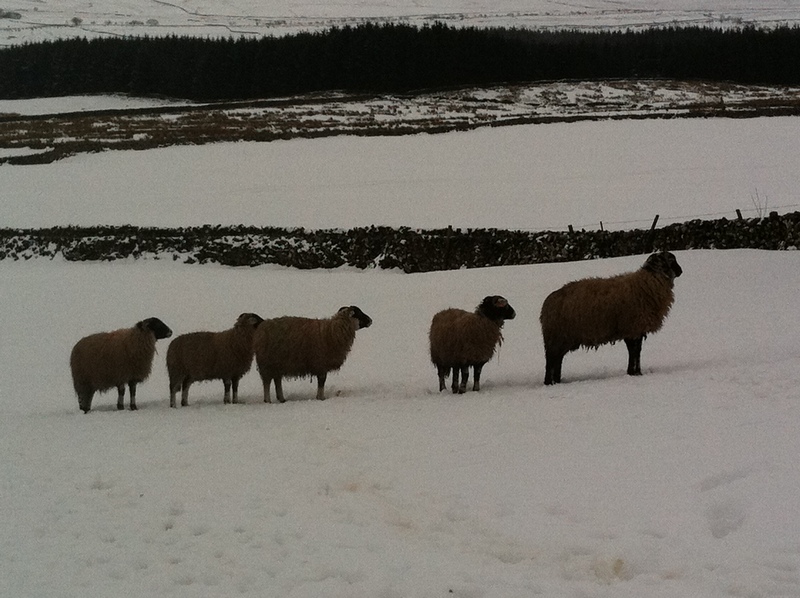 “Just follow the dry stone wall, and you’ll get to the top” a hardy hiker told us as he passed going the other way. The weather was setting in. More snow was falling. It was a white-out, as visibility fell to around 10 metres. 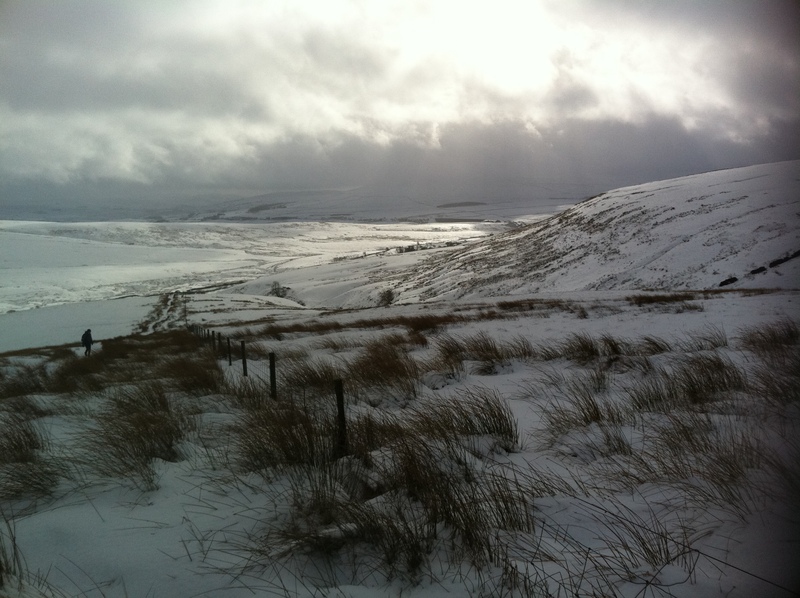 My face stung as the wind, snow and sleet reminded me that we were crossing bleak and unforgiving terrain. Eventually, we made it to the summit, marked by a stone trig point. We huddled down in the wind sheltered and ate our packed lunch. It wasn’t exactly fine dining but the energy boost was immediate. Heading down was easier. . The only problem was staying on our feet. I noticed one resourceful hiker descending on a pair of skis. I slid down mainly on my bum. Great fun until my jacket rode up allowing snow and ice to travel up my back. An hour or so later we had walked full circle and were back at the Ribblehead Viaduct. My feet were wet and hands were cold , but my soul and heart felt warm. Whernside in the snow had not disappointed. 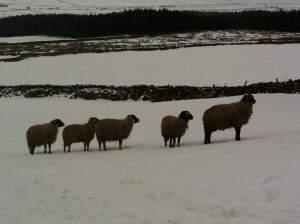 A great winter walk.